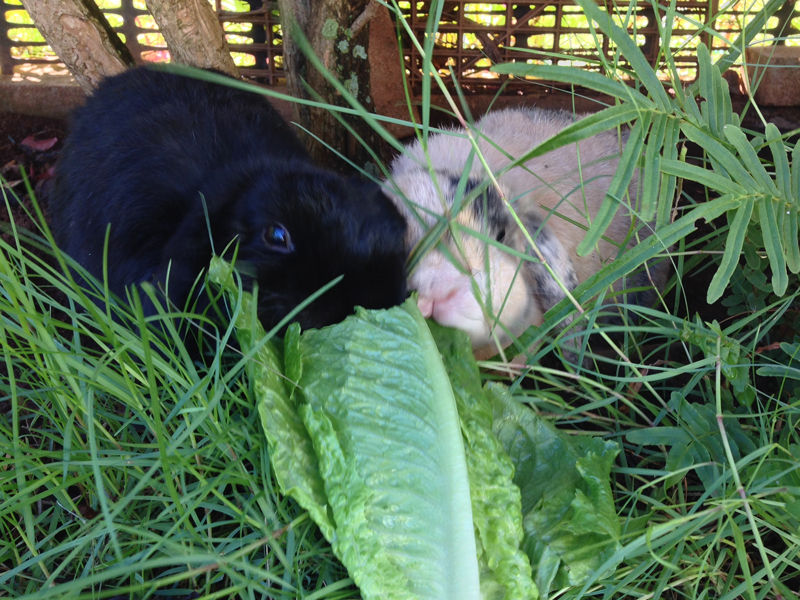 Mopsie and Flopsie sharing a Romaine lettuce leaf, one of their “faves” on a hot day. It helps them stay hydrated. Sharing is caring! Love it!